Last year I discovered that while hypnotizing my weight loss clients I actually lost weight myself because I was so focused on the positive beliefs I was instilling in them. Imagine how excited I felt when I realized I’d lost weight without consciously trying to do so! What if you could lose weight with ease? Hypnotherapy is very successful for weight control. Why, you might ask? Because your subconscious mind helps you create the belief that you have the capacity to be thinner. Food can often act like a drug…. you think you need that extra sugar rush provided by a double scoop ice cream cone, or 20 oz. soda. Yet in a very relaxed hypnotic state, you can become more attracted to eating fresh fruits rather than high fat/high sugar delicacies. Some clients who were addicted to French fries and fast food patty melts actually became turned off by the mere smell of them and stopped visiting these restaurants altogether. So, does that mean I can lose weight without working out and eating right? Once you’ve truly made the commitment to improve your health, our focus will include using hypnosis for weight loss to motivate you towards new choices in both nutrition and exercise motivation. Will hypnosis for weight loss help me eat less? Hypnosis for weight loss enables you to diminish your cravings for certain foods, while slowing down your reaction to immediate hunger pangs. Our “flight or fight” mechanism trains us to eat as soon as we feel the slightest sense of hunger. This creates a constant pattern of snacking and eating sweets. Your metabolism burns much more efficiently once you put off eating until you’re truly hungry. 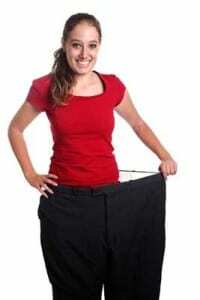 How do I get best results with hypnosis for weight loss? Successful weight control involves being committed to taking action in several ways. One of the extra bonuses provided to my clients is an MP3 or CD recording of each session. Listening to your session recording is very important to your commitment to follow through. The suggestions you receive while in hypnosis take deeper root as you listen several times. Although the specific approach is covered in greater detail once we work together, in general it includes: getting 6-7 hours of sleep each night, regular exercise, a healthy diet with fresh vegetables/fruits, avoiding addictive carbs, drastically reducing sugar intake, drinking lots of water and mindful eating practices. 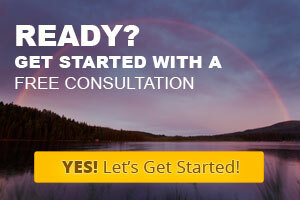 If you’re ready to lose weight through the power of hypnotherapy, click my calendar link to set up a free, no-obligation hypnosis consultation. I look forward to talking with you! Katie is the definition of amazing. She can take any fear or phobia you possess and turn it into one of your strengths. You leave the session feeling like a new person. If you want to change your life, come here. Thank you for your amazing work Katie!